Hello lovelies, Oscar hasn't been on here for a couple of weeks so I thought I would share him in today's post with what toys he has been playing with non stop lately. 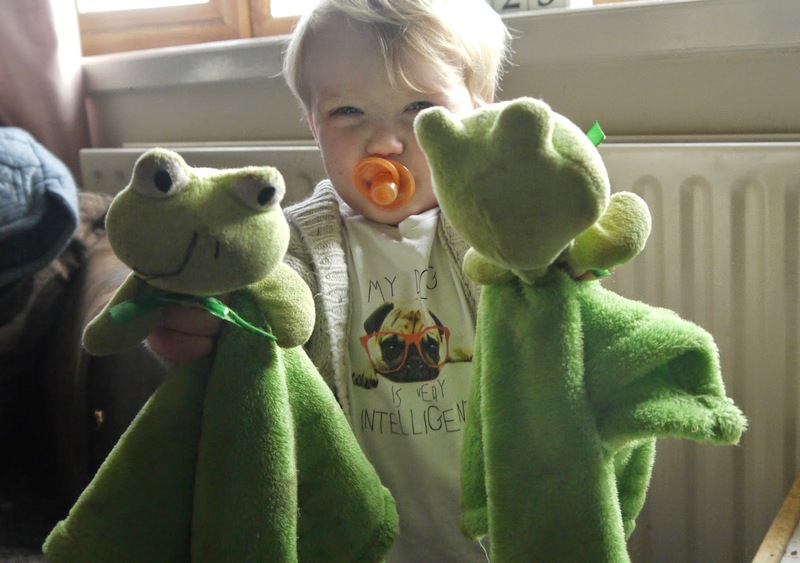 The first picture is him and his comforter, I bought two of these in case he lost one as he can't sleep without it but he somehow found the extra one and now he loves them both, luckily he can sleep with one if the other gets stuck down the sofa or something. 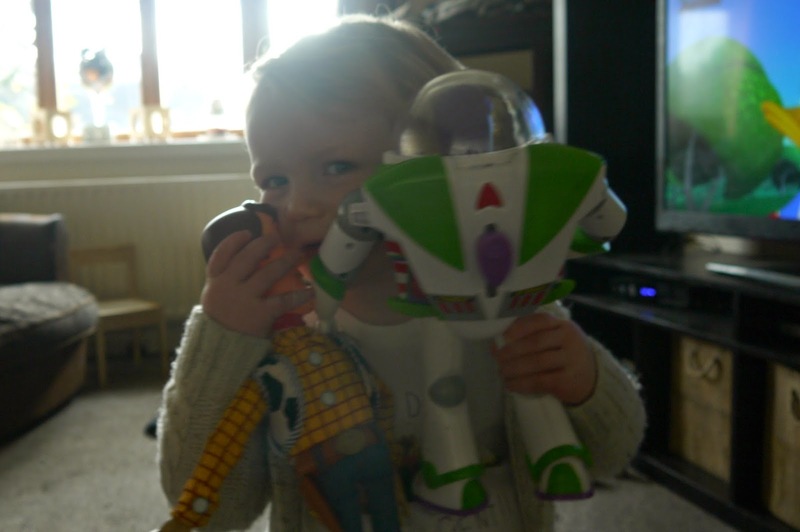 Buzz and Woody, Oscar is obsessed with Toy Story at the minute so I couldn't resist getting him Buzz and Woody, he is always playing with them. I was slightly miffed as I saw Buzz was cheaper in the Disney shop compared to Argos price but I think the one in Argos has slightly more features. His wings spring out, light up and go over his shoulders for 'turbo mode' whatever that is aha, he says lots of phrases and Oscar loves flipping his wings out and flying him around the room. 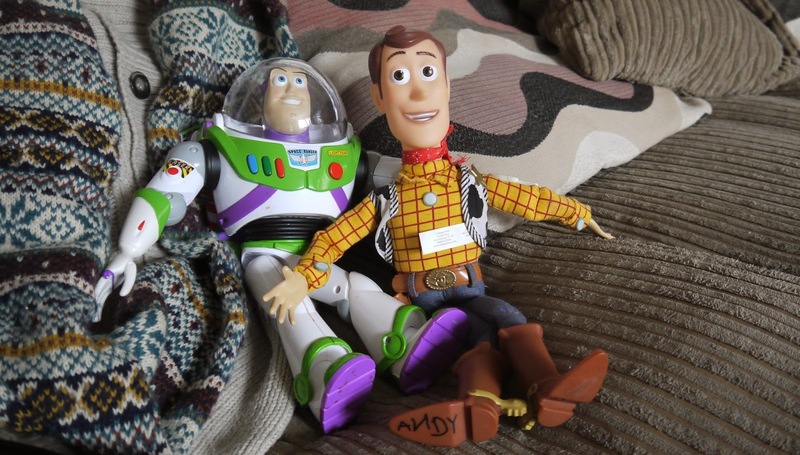 Woody had a pull tie at the back and says lots of phrases he was half the price of Buzz in the Disney store so that was a bargain, I should of kept them for Christmas really but I can't help buying him random gifts plus he is really sweet with his toys and gives them lots of cuddles and kisses. 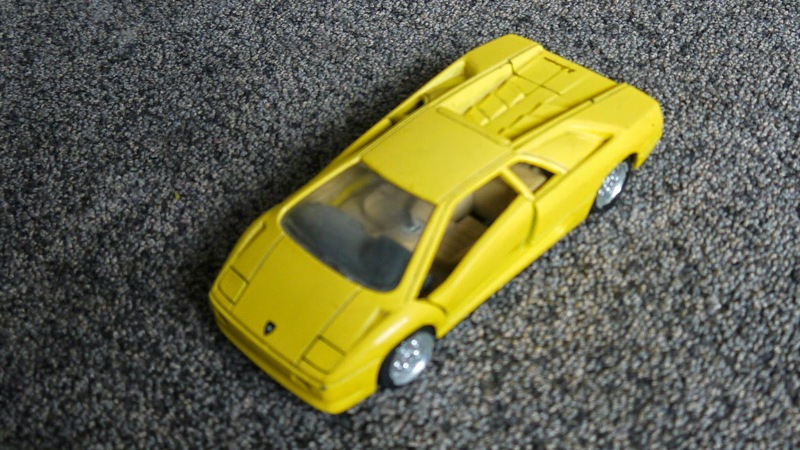 The next toy is the yellow sports car, Lamborghini it was his dads when he was little which is lovely to have, it is quite heavy and has doors that flip up at the sides that he loves playing with and just pushes it around on the floor, we usually push it to each other on the floor. 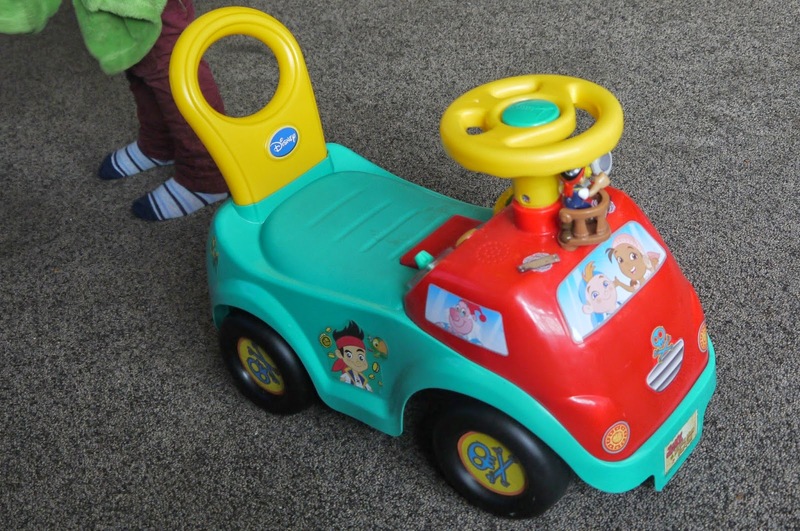 Then lastly we have his Jake and the nerverland pirates toy car, I was shocked when Dan's mum bought Oscar this for his birthday a few months back that he actually liked it and played on it because we bought him a Mickey mouse one last year for Christmas and he never went on it, this has a button on it that says some of the phrases from the TV programme and he scoots around on it everywhere. Other than these toys Oscar is really into cars, planes, trains and dinosaurs. 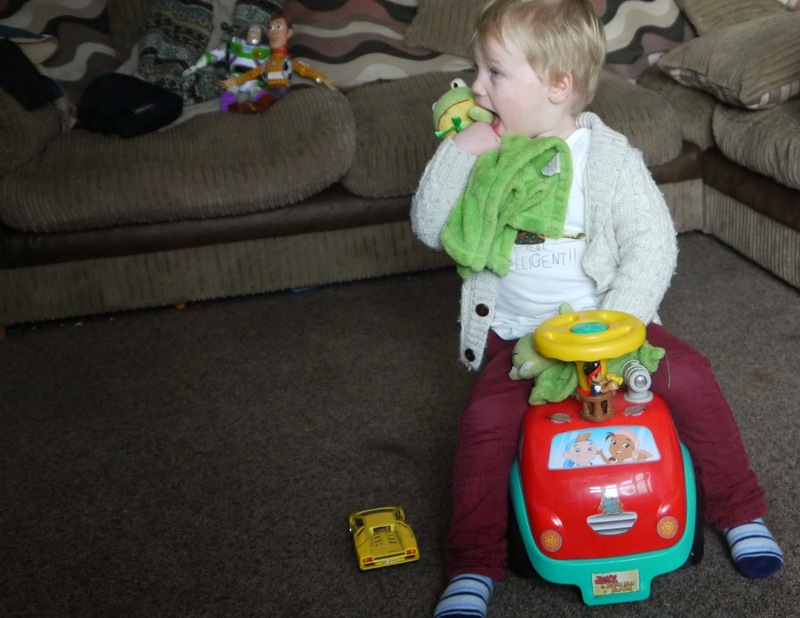 What toys are your toddlers loving?